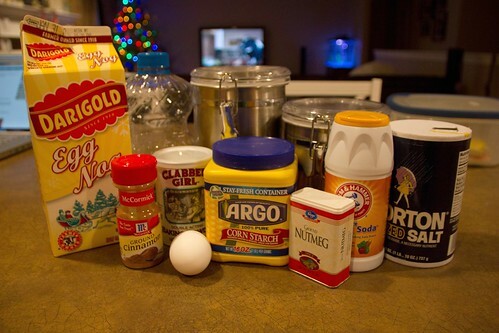 it’s the time of year for… egg nog, among other things. i wanted to find a way to incorporate egg nog into our breakfast. i first tried egg nog french toast, which was a massive fail. they were very blah. we went to ihop and devoured egg nog pancakes, which were AWESOME. so i decided to try egg nog in another one of our favorite breakfast dishes: waffles. these are a bit cakey, but most definitely egg-noggy and wonderful. the recipe yields two average sized waffles; double and quadruple, as needed. 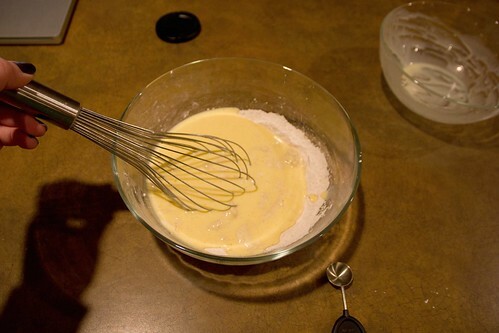 pour wet ingredients into the dry mixture bowl and whisk until just combined. do not overmix, lumps are fine. let the batter rest for 30 min. 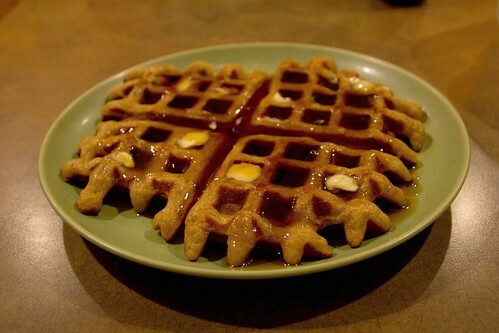 cook waffles using your favorite waffle iron.